Biogas is mainly composed of methane (CH4) and carbon dioxide (CO2). It may also contain a smaller amount of hydrogen (H2), hydrogen sulphide (H2S) or nitrogen (N2). Depending on the biogas source, the methane (CH4) content can range from 30 to 65%. Biogas analysis and quality monitoring is an indispensable element in the development of any anaerobic digestion project. As the composition of biogas can change over time, it is necessary to control the quality on a regular basis. Typically, the plant operator analyzes CO2, CH4, O2, N2, H2, H2S and H2O. Their quantity must be checked before and after the treatment systems. Biogas analysis helps control the anaerobic digestion process, optimise digester operations and maximize biomethane production and revenues. Biogas analysis also helps minimize gas emissions from cogeneration plants. It helps protect cogeneration engines against H2S and moisture damage. Biogas analysis can also ensure newly installed biogas plant is operating to design specifications, applicable regulations and highest safety standards. Geotech is a global leader in the design and manufacture of gas analysis technology used in a wide range of industries worldwide. With a vast network of established international distributors, Geotech is able to supply to and support its customers in over 60 countries throughout the world. 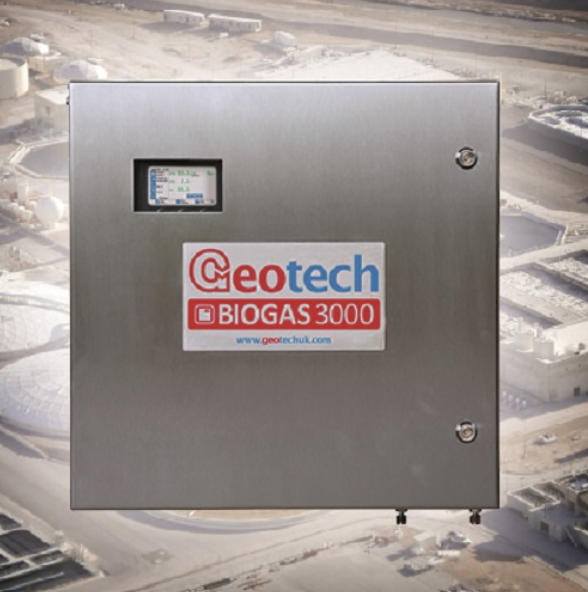 Beyond its market-leading gas analysers for landfills and the biogas sector, Geotech also designs, manufactures and supplies a full range of environmental monitoring equipment. These include groundwater sampling and monitoring instruments, pneumatic pumps for leachate control and remediation processes, as well as CO2 monitors and N2O monitors for the laboratory and medical industries. BIOGAS 5000: Enables you to collect consistent data for improved analysis and accurate reporting, whilst helping to check the digester process is running efficiently. BIOGAS 300: Fixed system biogas analyser for CH4 monitoring. Ideal for 500kw or reduced scale Anaerobic Digestion plants, from agricultural to food waste typical applications. GAM Software: Software for full control of the portable gas analyser. Cameron Instruments Inc. is the exclusive Canadian supplier and service partner for Sewerin, manufacturers of top quality gas measurement devices optimized for the Biogas industry. Multitec BioControl is the ideal system for the continuous automatic measurement and monitoring of the composition of gas. The BioControl 2 System fulfills the main measuring requirements of all small to medium-sized plants. The high-quality BioControl 4 or BioControl 8 System offers extensive and varied measuring options. Developed specifically to meet the requirements of medium-sized to large plants. For nearly 100 years the name UNION Instruments stands for high-performance measurement technology, outstanding accuracy of measurement, quality and maximum security. UNION Instruments GmbH is a Germany-based manufacturer of devices and systems in gas measurement technology with a global approach. INCA Biogas Analyzers are rugged analyzers that measures four important biogas parameters from up to ten process gas streams on-line, with minimal maintenance. Output data is available in Vol.% and ppm and provides the user with valuable information for evaluating process gas quality, digester feed rate and overall digester health. Willexa Energy offers equipment, media, parts and service for biogas treatment systems specializing in siloxane reduction and monitoring. Perfect for critical applications, this system automatically and continuously monitors individual siloxane species at up to four points in your process. With detection limits as low as 300 ppb and remote communication and alarm capabilities, this monitor provides the ultimate protection for your downstream combustion equipment. Progeco deals with the design, manufacture, supply and installation of equipment and systems for combustion treatment and utilization of biogas. Progeco includes in its scope of supply hand held portable instruments and fixed continuous and automated equipment for analysis of methane (CH4), oxygen (O2), carbon dioxide (CO2), hydrogen sulphyde (H2S) in biogas. Data can be stored or sent to remote PC / SCADA system. Avensys Solutions is an industry leader in providing instrumentation and integrated solutions for the monitoring of Biogas Digester and environmental surveillance applications for air and water in the Canadian marketplace. The AwiFlex measures the content of methane, carbon dioxide, oxygen, hydrogen sulphide and hydrogen in the gas. This system also adheres to process control such as desulphurization, data logging and works as a server for the real time visualization. Endress Hauser is a leading supplier of products, solutions and services for industrial process measurement. The Prosonic Flow B 200 has been specially developed for the biogas industry. It measures the volume flow of biogas, landfill or digester gas with high accuracy, even under greatly fluctuating operating conditions. In addition the Prosonic Flow B 200 offers in-situ methane content measurement. 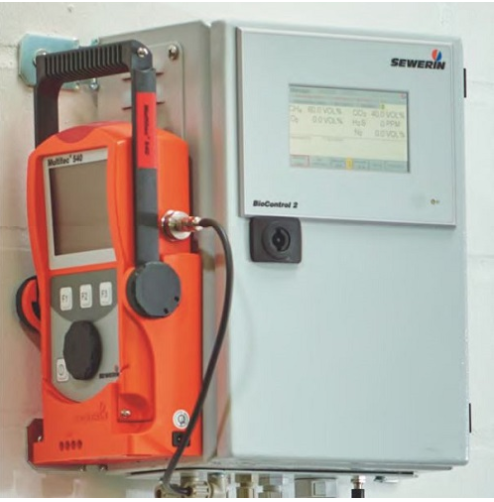 This unique feature enables continuous measurement of not only gas flow but also gas quality. Explorair specialize in biogas / biomethane analysis as an independent laboratory that support operators, project managers and contractors with the aim of having reliable analyzes meeting the criteria of engine manufacturers and organizations managing natural gas injection networks. Biogaz Vallée is an association open to all local, national and international partners interested in promoting biogas and AD in France. One of the cornerstones of Biogas Valley is the creation of an analysis centre combined with a pre-industrial pilot unique in France, which will improve the reliability and accuracy of Biochemical Methane Potentials and industrial trials, key elements to predict and enhance anaerobic digester performance and to gain the confidence of banks and insurance companies.